Marva was born in Monroeville, Alabama in 1936 and grew up in Artmore, Alabama in an era when segregation was the cultural norm. Her father Henry was a businessman and a strong and positive influence on her life. She learned to read from Bible School books and the directions on tin cans and from books her father borrowed in Mobile. He graduated from the all-black Eschambia County Training School in Artmore. 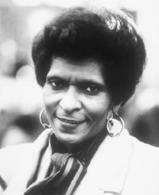 According to the Marva Collins Seminars web site, black people in her town could not get a card at the public library and her grammar school had few books and no indoor plumbing. But her family inspired in her a strong desire to learn and achieve independence and self respect. She graduated from Clark College in Atlanta, Georgia in 1957 and taught school in Alabama for two years. In 1959, Marva moved to Chicago and married Clarence Collins. In 1960, she was hired as a substitute teacher in the Chicago School system even though she did not yet have a formal teaching certificate but quickly got one to teach full time. She taught in Chicago public schools for 14 years until 1974. 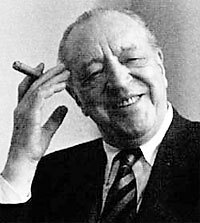 Chicago attorney Harold Ickes was a key political advisor to Franklin D. Roosevelt. He served as the 32nd Secretary of the Interior for 13 years from 1933 to 1946, longer in that post than any other person. His name is pronounced as if it were "Ick-eez." Stand-up comedian and movie star Richard Pyror was born on Dec. 1, 1940 in Peoria, Illinois. His father was a bartender and a World War II veteran. His mother abandoned Richard when he was ten. He was one of four children raised by his grandmother in a house of ill repute that she owned. Richard would escape some of the traumatic experiences of his childhood by going to the movies as often as he could to see westerns and other adventure films. 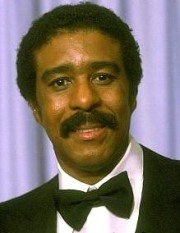 According to Richard Pryor's website, his first opportunity to perform in public came at the age of 12. Juliette Whitaker was a supervisor at a public recreational program in Peoria. She cast Richard in a performance of Rumplestiltskin and the audience was impressed by his comic faces and stage presence. Richard attended public schools in Peoria and served in the U.S. Army from 1958 to 1960 where he also performed in some amateur shows. After the Army, he performed both songs and comedy at Harold's Club in Peoria. His comedy routine was more popular than his singing so he transformed the act and took it on the road to many clubs throughout the midwest. 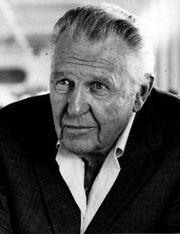 Tony Award-winning actor Ralph Bellamy was born in Chicago on June 17, 1904. 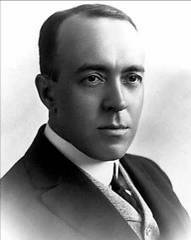 He was the oldest of three children of Charles Rexford Bellamy and Lilla Louise Smith. Ralph's father worked for the Barnes Crosby Advertising Agency. Ralph lived with his father, mother, a brother, a sister, and his maternal grandmother in an apartment at 5709 South Kimbark Avenue just east of the campus of the University of Chicago. At age 5 in 1909, Ralph's family moved to Wilmette where he grew up attending public school and working at odd jobs such as a newspaper delivery boy and a grocery delivery boy for Brinkman's Grocery. He also beat rugs, raked and burned leaves, and worked as an usher at a local movie theater and as a soda jerk. Ralph was president of the Drama Club at New Trier High School but he unfortunately was expelled for smoking on school property before graduation. He developed his acting craft in the late 1920s by going on tour. He was only 22 when he formed his own stock company called "The Ralph Bellamy Players" based in Evanston and which existed from 1926 to 1930. In 1991, President George H.W. 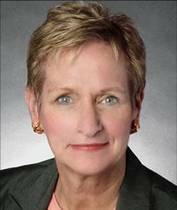 Bush appointed Congresswoman Lynn Morley Martin (R-Rockford) as U.S. Secretary of Labor to succeed Elizabeth Dole. She followed in the footsteps of Patricia Robert Harris of Mattoon and Chicago who was the first woman from Illinois to be appointed to the cabinet under President Jimmy Carter. Lynn Morley was born in Chicago on Dec. 26, 1939 and attended public schools there. She graduated from the University of Illinois with a B.A. 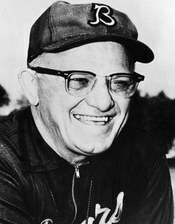 degree in 1960. After college, Lynn taught at public schools in Du Page County and moved to Rockford in 1964. There she was a high school teacher of government and English in District 205 until 1969. She later served on the school board from 1972 to 1976 when she was elected to the State House of Representatives. In 1978 she was elected to the State Senate and then two years later in 1980 she ran for an won the Congressional seat vacated by former Rep. John Anderson. 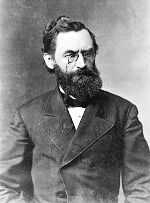 Anderson left Congress to make an unsuccessul bid for president both in the Republican primaries in the spring of 1980 and as an independent in the fall. 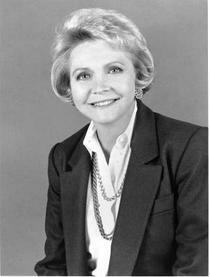 Lynn began her service in Congress in January 1981 and served for the next ten years until January 1991. She served several terms as Congressional Vice President of the Illinois State Society of Washington, DC.